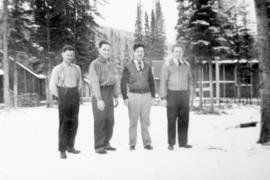 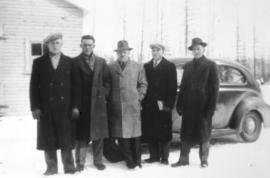 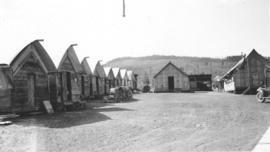 5 men at a Canadian camp for Conscientious Objectors (Alternative Service) during WW II. 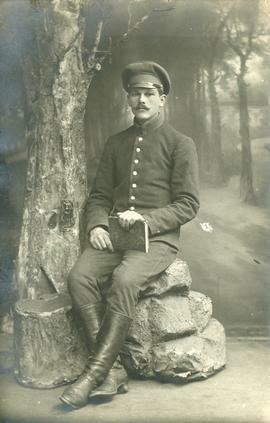 At right 2 sit on some crates, one holding a dog. 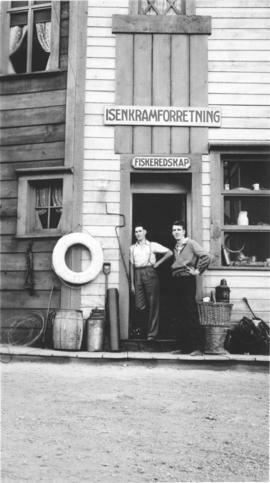 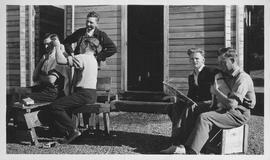 At left one man receives a haircut, another looks on.Place not identified, no date given. 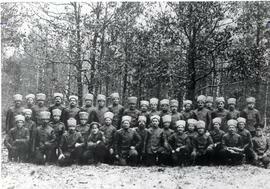 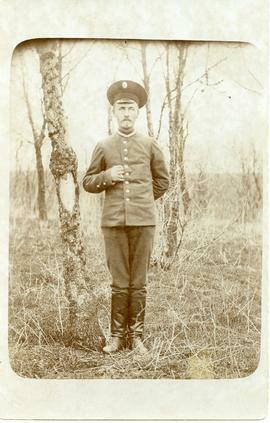 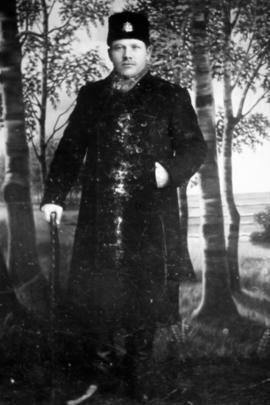 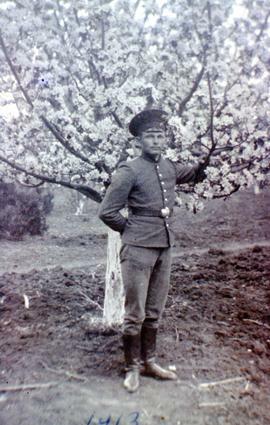 This Mr. Lepp served in northern Russia, probably near St. Petersburg.